Continence Care Group specializes in all aspects of Medicare F-Tag 315 compliance and Plan of Care recommendations for Nursing Homes and Skilled Care Facilities. 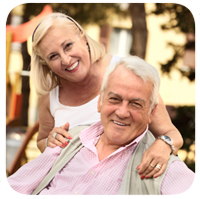 Continence Care Group is currently positioned to provide services within the state of Texas. F-Tag 315 compliance has become a burden that most Nursing Home facilities are not properly equipped to address. Our services help to eliminate that burden by providing on-site diagnostic procedures and evaluation of patients. We also provide all necessary audit-ready documentation. Our services free your staff to concentrate on providing the standard of care your residents deserve. Continence Care Group was formed in 2007 and has pioneered the use of these diagnostic and treatment services in Nursing Homes and Skilled Care facilities in the state of Texas. Continence Care Group, LLC is a privately held corporation with operations based in Pflugerville, Texas.